The OF77 features the all new SpaSoft Coolmax interior which combines the moisture wicking properties of Coolmax with the anti-microbial properties of bamboo. The OF77 is like having two helmets in one. 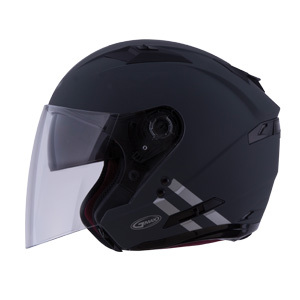 It offers the comfort of an open face helmet with the ability to quickly and easily convert into a full face helmet with the installation of the optional snap-in jaw piece. Lightweight shell. Large size only 3.2 lbs.